WHITE SULPHUR SPRINGS, W.Va. – (May 14, 2018): The Greenbrier Classic will once again provide the ultimate celebration of America’s Birthday at America’s Resort, and this year the annual PGA TOUR FedExCup event, which will take place July 2-8, is going even further to honor those who help make American Independence possible. One example is the new Stars and Stripes Outpost Badge. On sale now, this exclusive badge will give spectators a unique way to watch some of the world’s best golfers take on the challenges of the oldest course on the PGA TOUR, The Old White TPC. The Stars and Stripes Outpost Badge will give badge holders access to complimentary parking at the State Fair of West Virginia Monday through Sunday, as well as admittance to the Stars and Stripes Outpost Monday through Sunday. Inside this climate-controlled tent, badge holders will find prime viewing along the 12th fairway, indoor and outdoor seating, upscale restrooms and televisions to watch all the action. Food and beverages will be available for purchase. On top of all of those terrific perks, those who purchase the $249 badge will be supporting the United States military, as proceeds from the badge will go to support various military organizations. As a thank you for their service, The Greenbrier Classic will provide complimentary Stars and Stripes Outpost Badges to members of the military. Tuesday, July 3 will be Military Appreciation Day, and military members who verify their status will receive a complimentary luncheon voucher for that day. Golf fans wishing to purchase their Stars and Stripes Outpost Badge, as well as military members looking to reserve their complimentary badge, can do so at GreenbrierClassic.com. 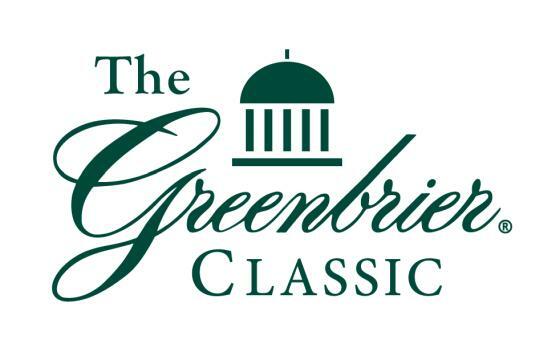 More information about The 2018 Greenbrier Classic, including updates on the player field, will be available in the coming weeks. The Greenbrier Classic is an annual PGA TOUR FedExCup event that began in 2010 on the historic Old White TPC Course on the grounds of The Greenbrier in White Sulphur Springs, W.Va. One of the most popular family events on the PGA TOUR, the tournament has drawn top-level golfers including Tiger Woods, Phil Mickelson, Jordan Spieth, Tom Watson, Nick Faldo, Dustin Johnson, Justin Thomas, Sergio Garcia, John Daly and many others to the famed grounds of The Greenbrier’s 11,000-acre playground. Past champions include Stuart Appleby, Scott Stallings, Ted Potter Jr., Jonas Blixt, Angel Cabrera, Danny Lee and Xander Schauffele. The tournament includes 156 players with a total purse of $7,300,000. The event is carried live on The Golf Channel Thursday and Friday and on CBS Saturday and Sunday. The Greenbrier is a luxury mountain resort in White Sulphur Springs, West Virginia. With a history dating back to 1778, the 710 perfectly appointed Signature Resort Rooms, Classic and Historic Suites, Legacy Cottages and Estate Homes are situated on The Greenbrier’s breathtaking 11,000-acre playground. Play championship golf courses or experience more than 55 activities. America’s only private casino features table games, slot machines and simulcast racing. The Greenbrier’s full-service mineral spa is widely recognized as one of the most luxurious in the world, and the Retail Collection is comprised of 36 boutiques, shops and hand crafted works of art. The Greenbrier Restaurant Collection includes 20 restaurants, cafés and lounges. The Greenbrier Clinic has been practicing diagnostic medicine since 1948, and The Greenbrier Sporting Club is the pinnacle of luxury real estate. Follow The Greenbrier on Facebook at The Greenbrier, on Twitter at @the_greenbrier or on Instagram at the_greenbrier.